I am an active law enforcement officer in Louisville, Kentucky, and have had to endure the pain of the loss of several friends and colleagues to line-of-duty death over my 26 years of involvement in the law enforcement community. No words can relieve the pain that is felt by the people who loved these fallen heroes - a loss I can only describe as "sorrow upon sorrow". The loss of a hero is not only felt by their friends and family, but also by their agency, their community and their nation. Upon taking ownership of Gman Emblem in August 2018, I decided that I would use my position as owner of this company to give back to the men and women who protect us daily. Some of our initiatives have included providing products to various police support foundations as donations, assisting individual families undergoing hardship, and providing materials to local departments on dealing with the stress of the job. Upon losing one of our own officers in December 2018, I saw a unique opportunity to expand our philanthropy. I have decided that beginning in January 2019, Gman Emblem will provide any of our products to agencies that are using them to commemorate their fallen hero at a price below our cost. 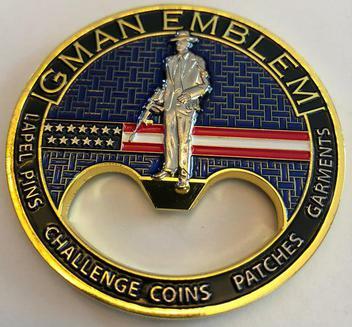 This includes embroidered patches, PVC patches, challenge coins, lapel pins, keychains, silicone bracelets, metal bracelets and/or any other items that Gman Emblem produces. We have labeled this program the Gman Emblem Fallen Hero Program. This is not a gimmick. The items provided are of the same quality as those we sell to our customers, and each product will receive the same attention to detail, artwork assistance, and quality control that we have built this company on over the past 20 years. I will personally work with representatives of the agency that has suffered the loss to create a custom design that truly honors the sacrifice of their fallen hero. Our products will be made of the highest quality materials, and I promise we will never make a single penny on the back of a fallen hero. 1) The fallen hero must have been performing work duties when the death occurred and the death must be classified as a line-of-duty death. 2) The products we provide must be ordered directly by the affected agency or a benevolent association acting on behalf of the members of that agency, such as an FOP or IAFF chapter. 3) Family members of the fallen must be consulted on the design and must be a part of the process, giving final approval of any design before we proceed. 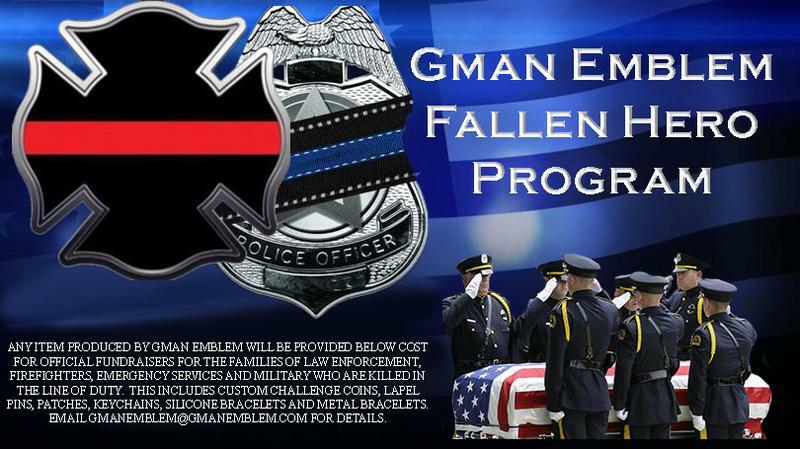 4) If the items are sold at a price above the price provided by Gman Emblem, 100% of the profits from these sales must be donated to the family of the fallen hero either directly or through a tax-exempt entity. If interested in participating in the Gman Emblem Fallen Hero Program, please send me an email to gmanemblem@gmanemblem.com or call me at 502-492-9715. Another extremely popular product is the custom challenge coin. Challenge coins originated as far back as World War I as a discreet way of claiming membership to a particular unit in the military. Their popularity has extended well beyond the military and they are now common in law enforcement, fire service, and the corporate world. Gman Emblem is happy to use your artwork or help you with your coin design and turn your ideas into reality. You will be provided with a digital proof of your artwork and can make an unlimited number of revisions. 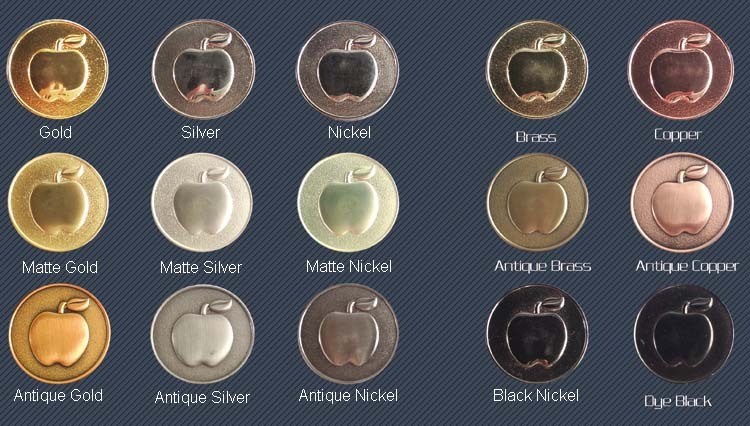 You can choose various options for metal plating, customized coin edges, various paint options for color, and textured backgrounds to add depth and dimension to your design. We will be happy to make suggestions and help you along with this process. Unlike our competitors, Gman Emblem does not charge extra fees for set-up, mold fees, or 3-D tooling fees. Coins can be dual-plated with two separate metals, with some exceptions. Please ask if you want to explore this option. 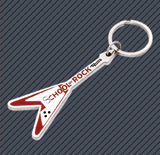 Lapel pins are also extremely popular products. 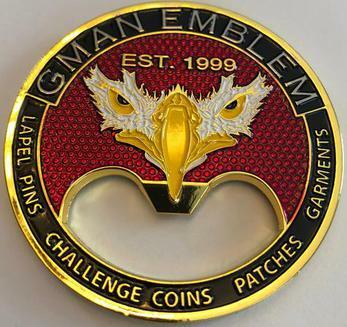 Gman Emblem is happy to help you with your pin design, and all the same plating options and colors can be used on lapel pins the same as they are on challenge coins. See the section above for more information. 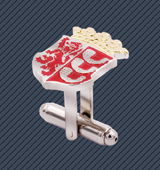 Any design you can make into a lapel pin or challenge coin can also be used for keychains, cuff links and tie bars. Feel free to ask about these products as well. The newest product in the Gman Emblem line is PVC patches. These are patches that are made of injectable PVC and have a rubber-like feel to them. They are rapidly becoming popular with tactical teams and in applications where the patches are worn in an outdoor environment. The advantages of this product are that it does not snag, is difficult to tear, and does not stain. It is very easy to clean with warm water and a soft cloth. It is lightweight, flexible, waterproof, and can withstand harsh elements. These patches can also be made in 3-D to provide more depth to the design. They are usually paired with a hook and loop backing. 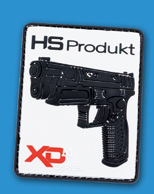 The disadvantage to this type of patch is that it is more expensive to produce than standard embroidery patches. Please feel free to ask for your no obligation quote on your design. 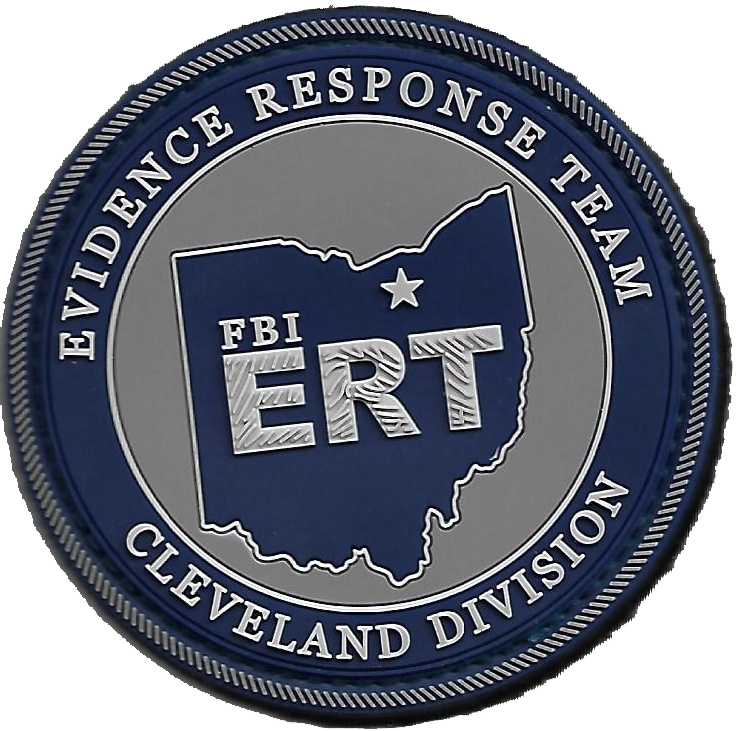 Gman Emblem was founded in 1999 by retired FBI Special Agent Wayne Alexander. After serving 27 years in the FBI, Wayne expanded his hobby of collecting FBI patches into a part-time business to produce them for other agents, hence the name Gman Emblem. As the business continued to grow, more products were added and customers outside the FBI began to utilize Gman Emblem. In 2001, Wayne's friend, Jim Clark, assisted him in creating a website for the business. Over the years, the two became close friends despite a vast age difference. In June 2018, Wayne fell ill and unfortunately could not recover. He passed away on June 25, 2018. Jim took over the business and has been running it since August 1, 2018. He is honored to continue the legacy created by his good friend. If you would like to use Gman Emblem to make your products, please give us a call at 502-492-9715 or send us an email at gmanemblem@gmanemblem.com. We can help turn your ideas into a reality whether you have finished artwork, a hand-drawn sketch, or just an idea. We will create your art piece and send you a digital proof for approval. You can make as many changes as you want before the item is sent into final production. Actual samples cannot be made for coins, pins, cufflinks, keychains or PVC patches. 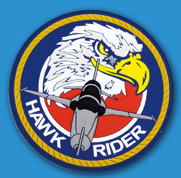 A sample can be made for embroidered patches, which will be emailed to the customer for approval before final production. If you want a sample in your hands for an embroidered patch, we can arrange that too but there are separate fees for this option. Gman Emblem is proud to accept Visa, Mastercard, Discover and American Express. We will also accept payment via check or money order drawn on US bank accounts. Once you place an order, the item will be sent to the factory for production. Once the item is completed, it will be directly shipped to you from the factory. Gman Emblem will notify you once we receive shipping notification and provide you with a tracking number. Full payment for all items is not due until 30 days after your items have shipped. Another newer product in the Gman Emblem line of products is the custom bottle opener. These products can be as small as a challenge coin, but are usually a little larger. All the same plating options and colors can be used on bottle openers the same as they are on challenge coins. 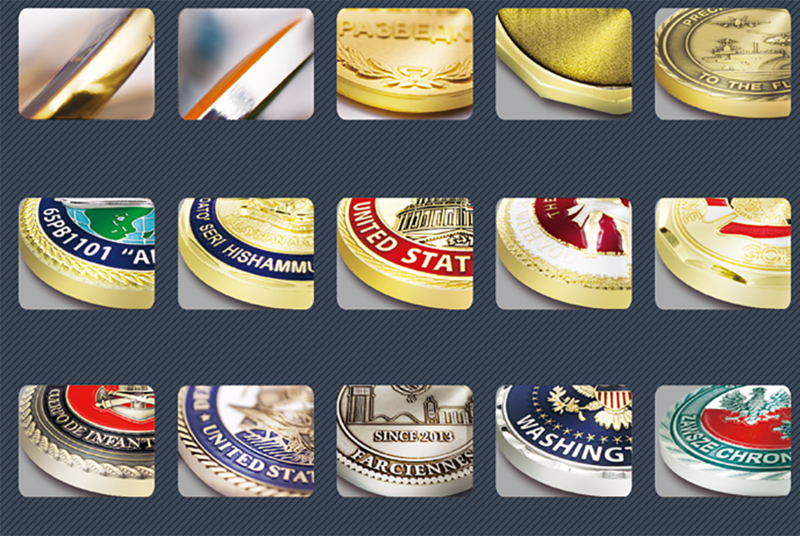 See the challenge coin section above for more information on those options. Gman Emblem is happy to assist you with the creation of a custom design for your bottle opener. Gman Emblem is now proud to offer memorial bracelets. We can provide bracelets made of silicone with printing or embossing. We can also provide metal bracelets made of black anodized aluminum with up to three lines of text and a custom logo. If the memorial bracelets are being made for an active law enforcement officer, firefighter, emergency services worker or military member who was killed in the line of duty / killed in action; Gman Emblem will provide these items at a price below our cost as long as the purchaser agrees to donate any profit made from the sales of the items to the family of the fallen hero.